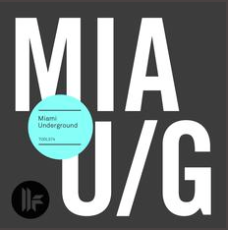 Toolroom Records release their latest compilation, ‘Miami Underground 2015’, which blends brand new exclusives and some of this year's hottest alternative tracks from many well known DJs and producers. This year’s compilation features an array of fresh, underground beats from Maceo Plex, Dubfire, Sven Vath, Maya Jane Coles, Deetron, Alan Fitzpatrick, Sidney Charles, Hollen, Weiss, Dosem, Jay Lumen, Eelke Kleijn & many more. Plus, also included are 14 brand new 100% exclusives from KANT, Full Intention, Kevin McKay, Ben Remember, Bluford Duck, Low Steppa, Retchordz, Mario Ochoa, Erik Hagleton & Thee Cool Cats! Look out for it.